Cedar International School Outreach Project open for October, November and December 2017. Cedar International School will be open for a special community centered educational programme during October, November and December 2017. Students aged 3 to 18 may enroll to enjoy a safe learning environment, age appropriate academic projects, a wide variety of activities including sports, arts, technology and gardening, all led by Cedar’s highly qualified and experienced staff. With so many schools and homes in the BVI badly affected by the recent hurricanes, Cedar has rushed to make its campus safe and comfortable, and will be ready to open its doors to children in our community on Monday 2nd October. This has been made possible by the incredible efforts of staff, volunteers, and significant assistance from Team Rubicon. The school has been housing 42 members of the veteran volunteer group, while they assist with the cleanup of several schools in the territory. Cedar’s faculty and staff have put together a special curriculum and range of activities to engage children of all age groups to cover this three month period. Studies will largely be inquiry based, with a focus on developing the skills found within an IB curriculum. In addition to trans disciplinary content, students will study a number of discrete subjects such as English, Maths, Science, Humanities, IT, design and PHE. 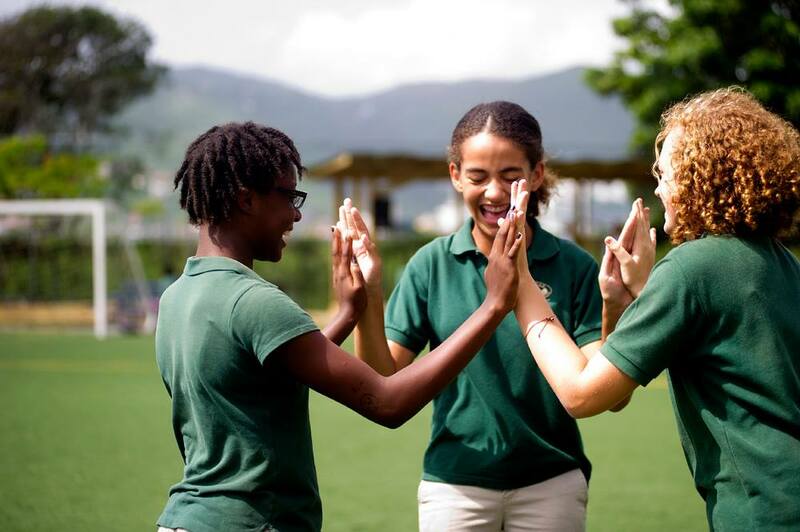 As well as formal tuition, students will have many experiential learning opportunities while the school participates as an active part of the community, helping in the BVI’s recovery efforts. As well as returning a sense of normalcy and routine, the outreach project will assist children to process and move forward from the traumatic experiences many have had in recent weeks. Cedar has partnered with UNICEF to provide psycho-social support and has hosted teacher workshops where story crafting and creative expression are used as tools to process trauma, an approach the staff are now empowered to use to help the students. A free lunch will be provided to all students. Chef Al Broderick, who runs Cedar’s catering service ‘The Lunch Box’, has been pro-active in providing free hot meals for kids since the hurricane struck. He will be operating from the Cedar campus providing for the children enrolled at Cedar and those from the wider community. US based charity Convoy of Hope has been instrumental in providing resources to make this possible. The Lunch Box aims to provide up to 1000 free hot meals for kids every day. “We are hugely grateful for all the assistance we have been receiving to get up and running and provide the children in the community with this essential programme over the coming months. Team Rubicon, UNICEF and Convoy of Hope are incredible organisations, and the help from their teams has been very welcome indeed. We are also very grateful for our dedicated staff, who despite having many personal priorities at this difficult time, have been working tirelessly to ensure we can open our doors and provide this much needed service to the community’ stated Cedar’s Director, Scott Crawford. Tuition fees for this period are $500 per month. The programme will run Monday to Friday, 9am to 4pm. To enrol your child or find out more please email admissions@cedar.vg, call 541 4945, or visit the school in person between 10am and 4pm. With fees dramatically lower than normal times, Cedar is actively fundraising to bridge the gap between tuition revenue and expenses, with the hope of retaining all staff and expertise for a return to normal operations in January 2018. Cedar International School is an IB World School, authorised to deliver the IB Primary Years, Middle Years and Diploma Programmes. Cedar is accredited by the Council of International Schools and the Middle States Association of Colleges and Schools and serves students aged 4 to 18. The mission of Cedar International School, a non-profit private school, is to provide all students we serve the opportunity to achieve their academic best with an international curriculum within a culturally diverse environment; to encourage leadership, character, and creativity; to foster a culture of international mindedness and community service; and to nurture inquiring minds and caring personalities in all students.